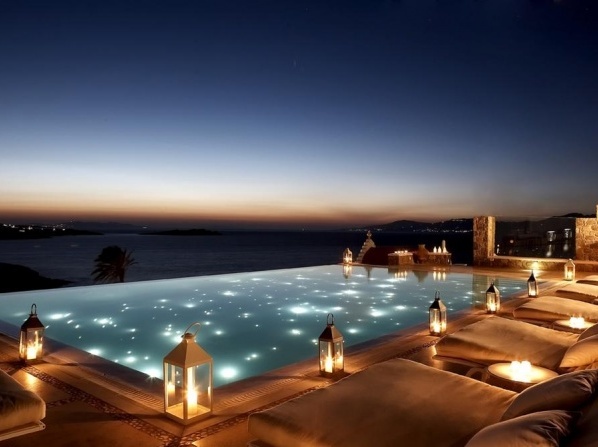 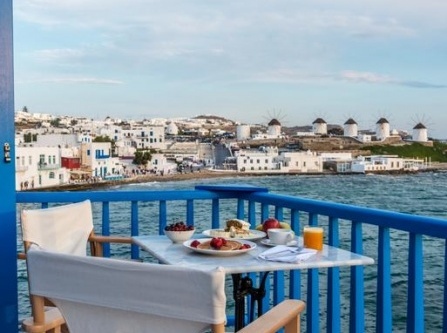 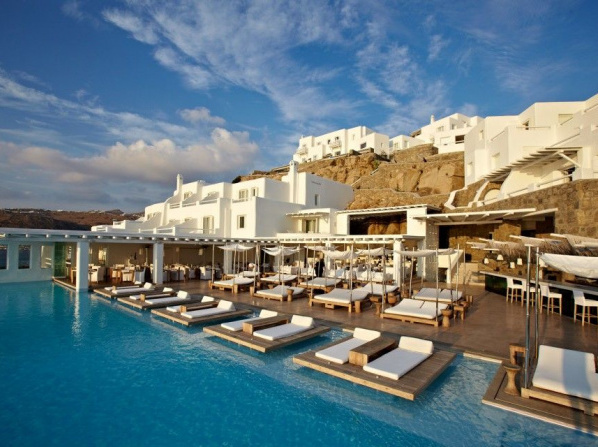 A dream summer destination for many people, mainly due to its thriving nightlife, Mykonos is rife with hotels and accommodations for all kinds of travellers. 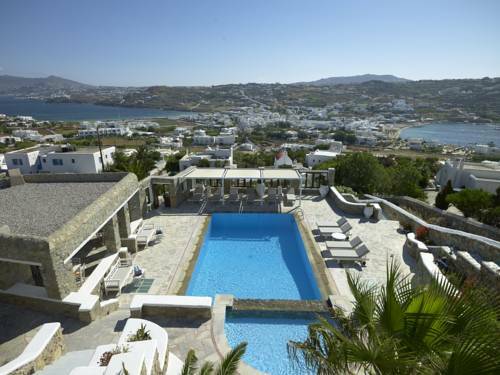 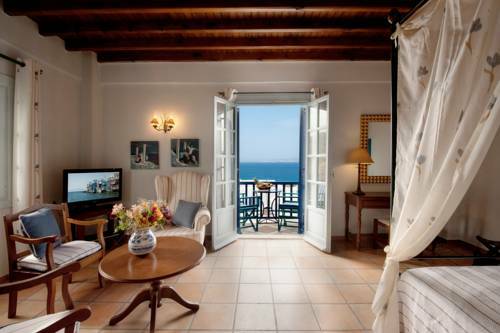 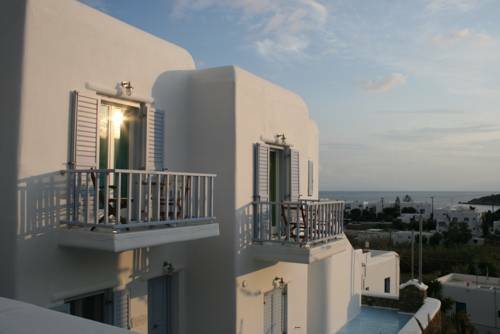 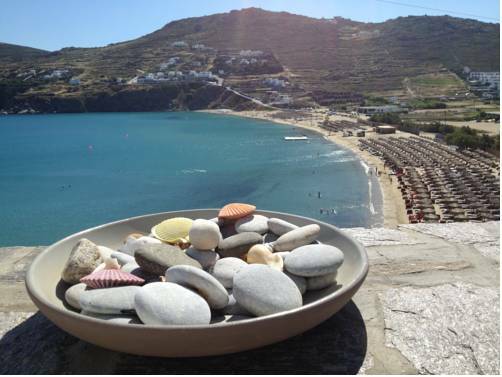 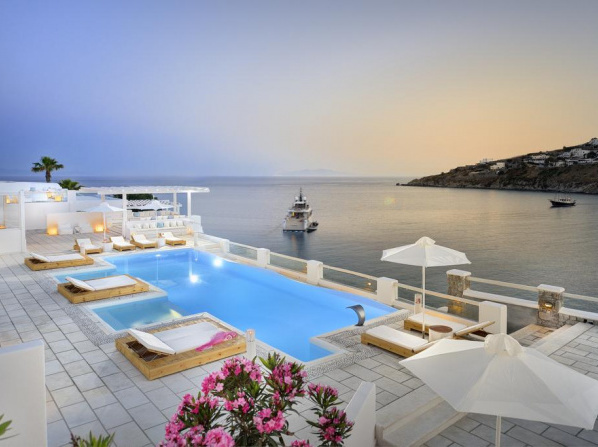 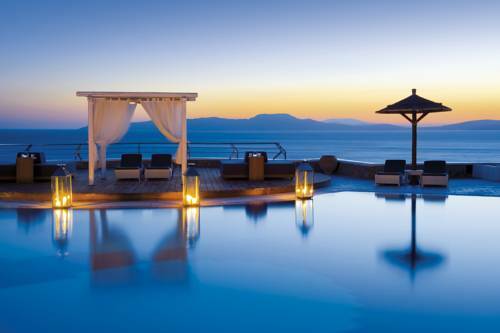 From luxurious villas and suites to idyllic honeymoon accommodations and charming boutique and designer hotels, Mykonos offers countless accommodation options. 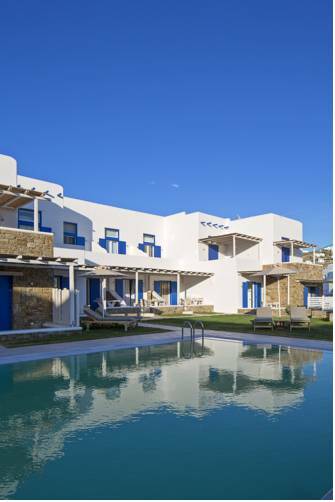 Most hotels are small, in the traditional white and blue hues, and boast swimming pools with breathtaking views, relaxing spa facilities and many romantic amenities, ideal for couples. 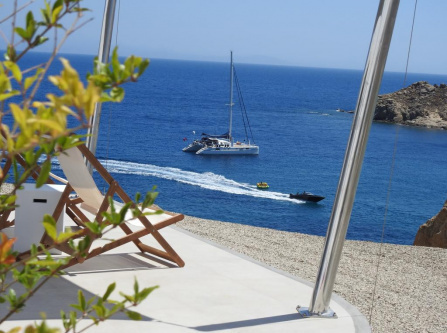 Although luxurious accommodations abound, there are some affordable options that may not offer extravagant luxuries but are certain to make your stay at this cosmopolitan island unforgettable. 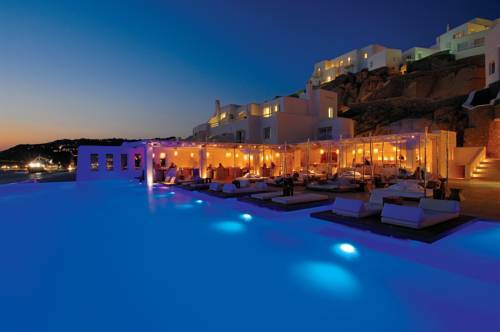 An award-winning luxury hotel, Cavo Tagoo in Mykonos features tastefully appointed and absolutely luxurious rooms, suites and villas, making customers' comfort and privacy its top priority. 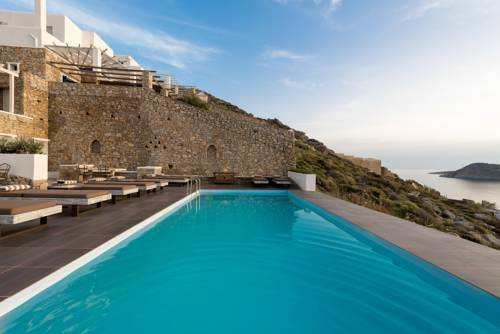 Apart from elegant decoration and all the necessary amenities, some of the rooms offer private infinity pools with unparalleled views over the sea. 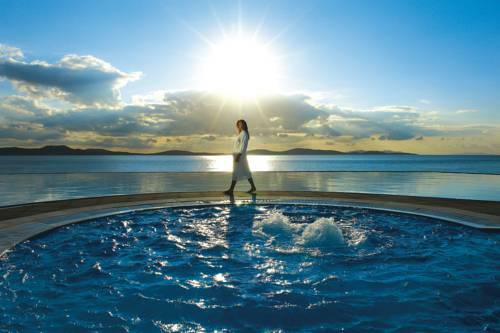 Guests can also indulge in spa and wellness treatments, taste the exquisite cuisine or spend time by the hotel's infinity pool, admiring the magnificent views and spending unique moments of relaxation. 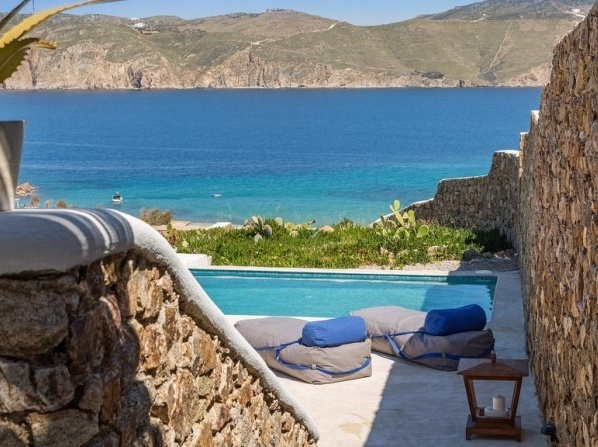 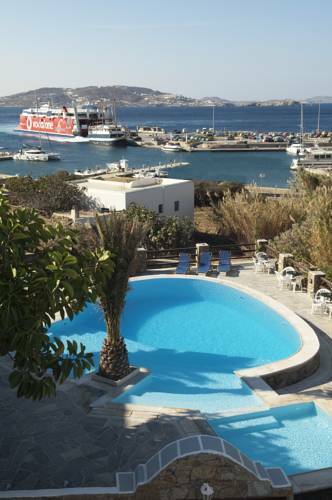 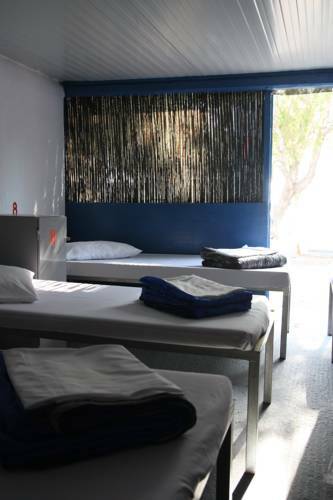 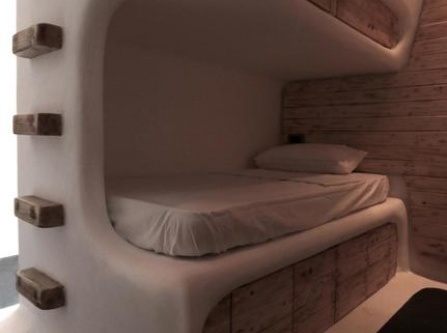 Located in Mykonos Town and featuring the traditional Cycladic design, this luxury hotel offers uniquely decorated suites as well as an outdoor swimming pool overlooking the Aegean Sea and the island of Delos. 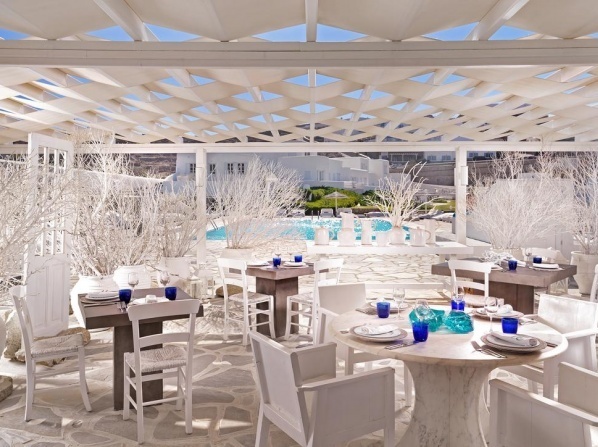 An excellent restaurant serving Mediterranean cuisine is situated right by the pool, while yoga sessions and wellness treatments are also available for guests to relieve their stress. 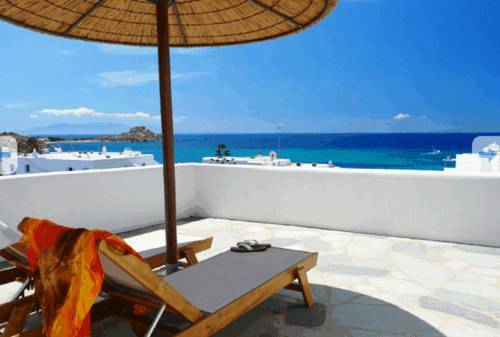 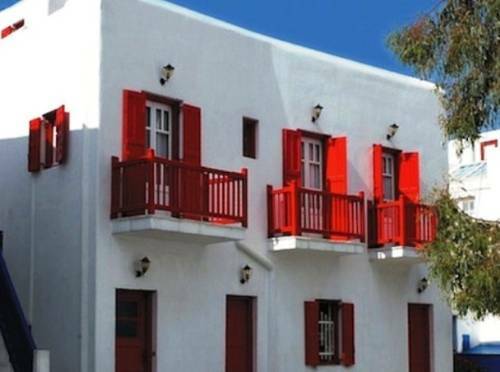 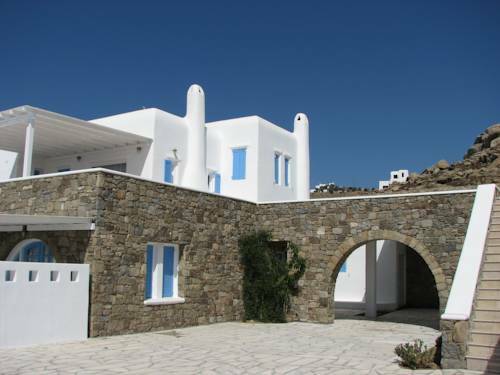 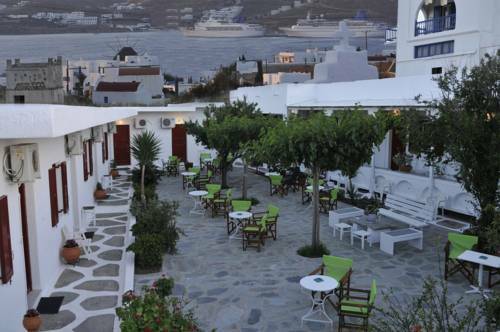 A charming boutique hotel, located right above Psarou Beach and within walking distance from Platis Gialos Beach, Nissaki Boutique Hotel is an ideal destination for the most magical vacation in Mykonos. 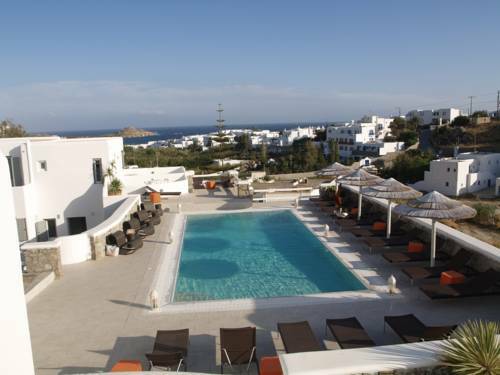 With luxurious and elegant rooms, suites and villas, a stunning outdoor pool, jacuzzi and wellness facilities, this hotel will become your heaven of relaxation, whether you are travelling with friends, family or your significant other. 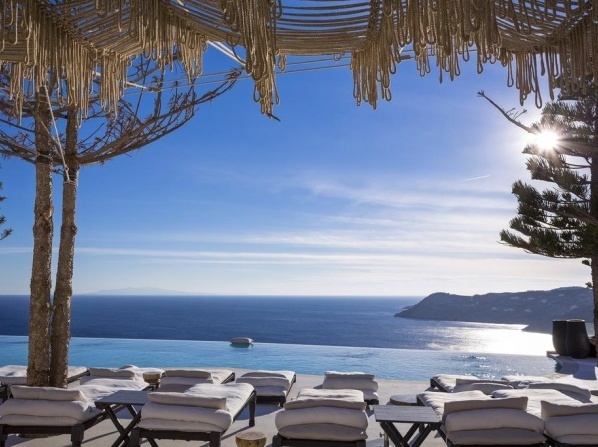 Perched on a cliff and overlooking the superb Elia Beach, Myconian Avaton is a unique design hotel that seamlessly combines luxury, elegance and the utmost comfort. 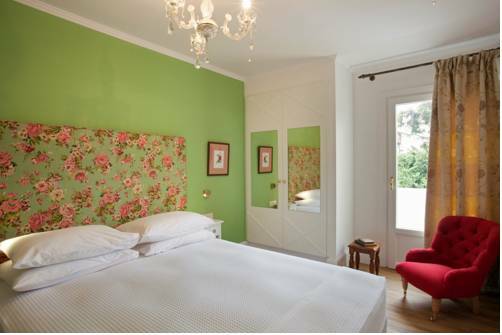 No matter which room, suite or villa you choose for your accommodation, you will be met with tasteful interiors, comfortable beds and sitting rooms and luxurious amenities. 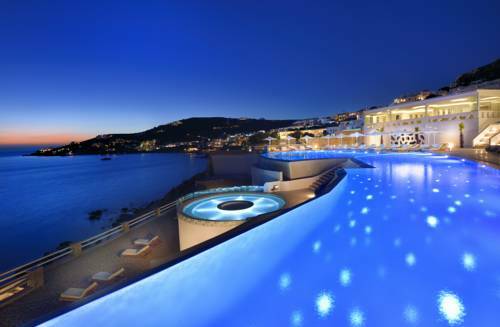 Enjoy the sparkling infinity pools, the rejuvenating spa facilities and the excellent dining options offered, and spend an unforgettable vacation in this wonderful island. 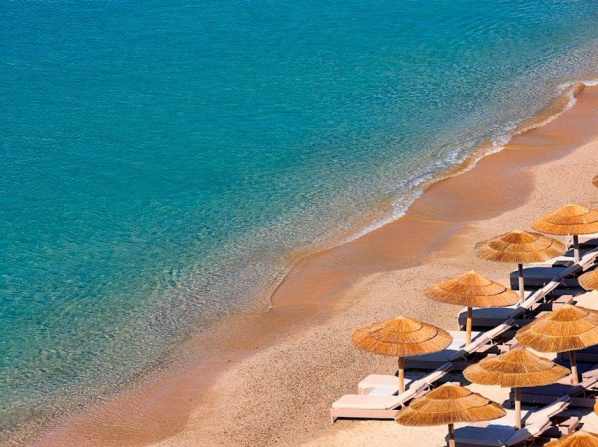 Just a few steps away from the renowned Paradise Beach, Paradise View Hotel is a 3-star hotel that offers deluxe rooms with elegant and chic decoration, an outdoor swimming pool with sunbeds and umbrellas, a restaurant with excellent dining options and many more amenities that will make every guest's stay as comfortable and enjoyable as possible.